For Christmas this past year, I got a new gaming PC. It’s been…magical. For years, I’ve only used laptops and netbooks. Handy for writing or school work; not so much for gaming. They ran most indie games, but even then, some games wouldn’t run smoothly on high settings. Rather than get a new, disappointing console, I returned to PC. Transitioning back to a big ‘ol tower PC is like night and day. I recently played Half-Life 2 and its follow-up episodes, comparing what they look like on maximum settings – something I hadn’t been able to do before. It was amazing. 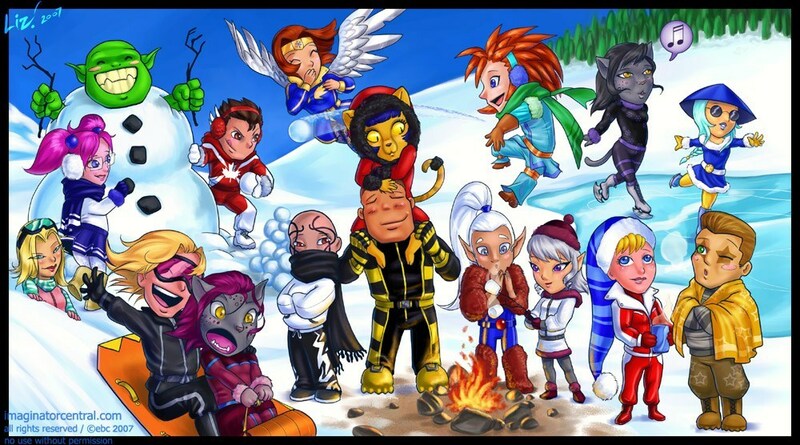 One reason why I enjoyed having a desktop was playing the one MMO (Massive Multiplayer Online) game that hooked me: City of Heroes. As I’ve mentioned on here, I’m a big superhero fan. I’m not a big fantasy fan. Most MMOs, like World of Warcraft, never gelled with me. But I poured hours into CoH. I pre-ordered it and played the pre-launch beta, sinking way too much time into it. I’d tinkered with power sets to see how they’d work and what ones I enjoyed. 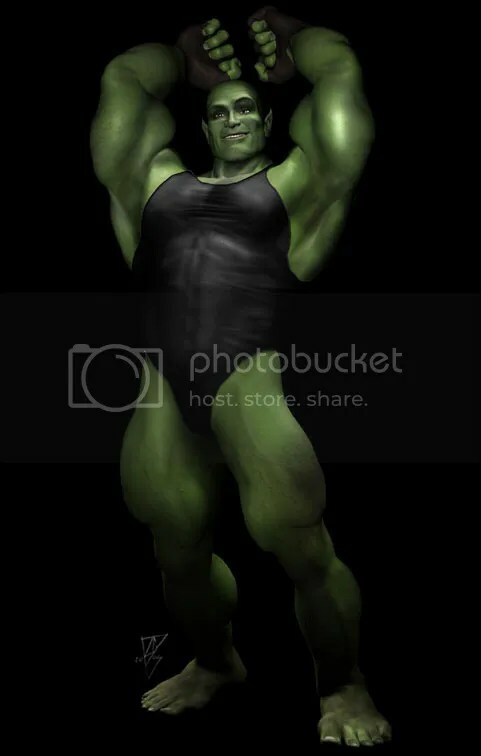 Like wrestling games, my favourite thing was the character creation. Even today, I’d argue CoH had the best character customization. It was that freedom, and perchance for silliness and creativity, that I created DOUG THE TROLL. Before Doug, I mostly played a character named Dr. Corona on the Guardian server. In total, I think there were about a dozen servers. 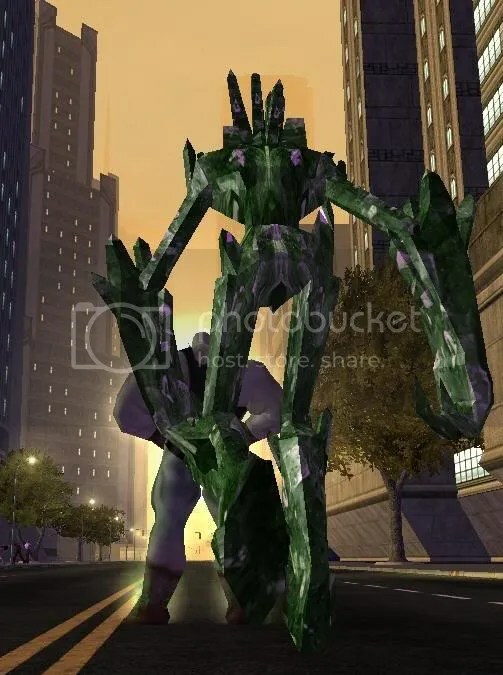 Through the City of Heroes Livejournal community, I met someone who considered each server a alternate reality, like the multiple Earths in DC Comics mythos. I can’t remember her name, but it was a unique perspective. She had similar characters, but their looks and powers varied from server to server. I thought it’d be fun to try and made variations of Dr. Corona, including Kid Corona (a fire tank hero). On the Justice server, my friend had a troll version of one of her characters. 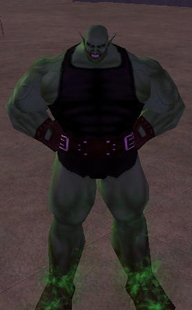 Trolls were villain group in City of Heroes, populating early-level areas. They were thugs at best, powered by a superdrug called Superadine. My friend had a group of heroic trolls who broke away from thug life, pursuing a heroic life. She invited me to the group, suggesting I make my own troll. 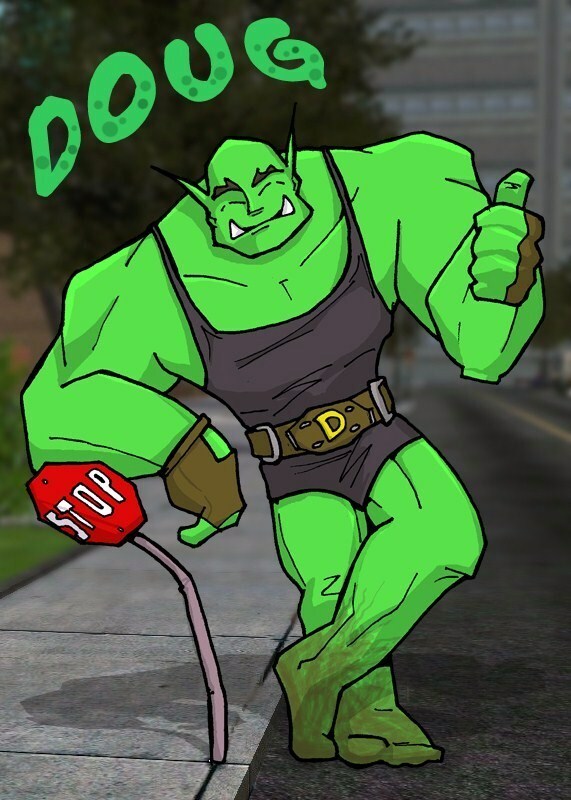 Instead of Dr. Corona, I made a troll version of Moby Doug, a tanker I rarely played. This Doug attended a party crashed by trolls. They force-fed him Superadine until he overdosed. 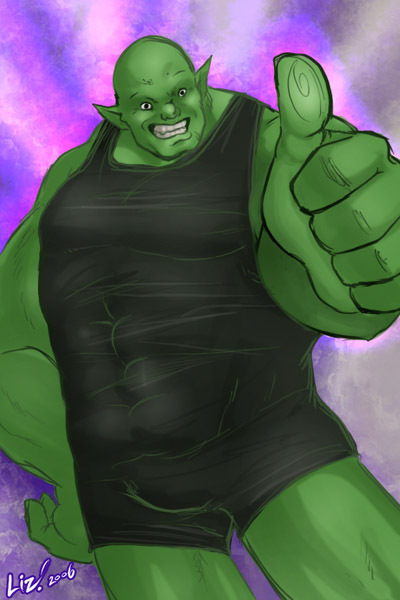 Speaking in third person, childish in nature, but incredibly strong, Doug the Troll was the ultimate tanker. He took any and all punishment and dished it right back. And by Kirby he was fun as hell to play. 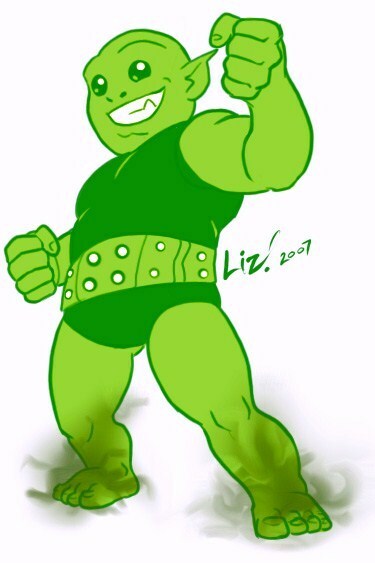 He was part Bizarro, part Hulk, and part Robin Williams or someone else comedic. See, whenever I played Doug the Troll, I played him completely in character. I’m a fast typist (average 80 words per minute), so typing in character was easy. Early into Doug’s reign, I ran up to random high-level heroes and said, “This am stick-up! Doug need to buy stuff! Give Doug money!” They found it so hilarious, they actually gave me influence (in-game currency). Often a LOT. Doug the Troll, in all his stinky-feeted glory. -Doug randomly belches in someone’s face. -Dressing up in various outfits, some of other known characters, like The Dougisher, Bat-Doug (a popular one), and the best one, DARKWING DOUG. -Dressing up as other CoH player’s characters, like The Spelling Bee, Rocketfire, and Lord Volf Alteron. -Sitting on a tank to make it look…well, it might too subtle for you to get. Thing is, I had so much fun goofing around with Doug, it took me forever to level up. 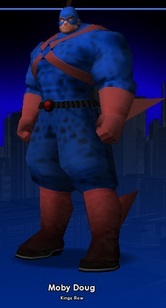 In the entire time I played City of Heroes (on and off for years), Doug was the only character I leveled up to the maximum level 50. And I’m okay with that. Doug endlessly entertained me and many other people. It probably helped that I was a decent tank, too. Team members rarely fell with Doug on meat shield duty. Despite the hilarity that Doug created, I still played the needed team role. I played through one Task Force (a series of missions) that we cleared through in half the usual time because the whole team was so well organized. Not one of us fell during the whole thing. Of course, the whole team gelled really well and other players helped keep Doug on his feet. But those teammates told me that it was the first task force without one casualty. Doug give tanks for Christmas! It’s any wonder I logged in so often. There were – and still are – times I felt very lonely. People loved Doug. It was infectious not to keep it up. Whether it was creating funny posts like on Valentine’s Day or Christmas or goofing off at a dance party in Atlas Park, I had a blast. Or the time Liz “Syrusb” Chesterman fought Doug using the above mentioned Lord Volf…and created a short webcomic of the battle! A very accurate portrayal. Liz’ mastermind kicked the living crap out of Doug with Volf’s debuffs and holds. But eventually Doug did hit level 50. And of course, what did I do, BUT THROW A HUGE PARTY. It was Dougtoberfest. Yes, that’s Doug in a toga. Be afraid. Be very afraid. So many people came out to celebrate the life of Doug. It honestly blew me away. The City of Heroes community and especially its LiveJournal community made me feel so welcome and I loved every minute of it. Even as I struggled with depression and loneliness, Doug the Troll helped make me feel part of something. Even when I sometimes got bored of the game or couldn’t afford it and chose to deactivate my account. Which, at the very least, lead to hilarious things like Doug’s vacation. Or running for mayor. His returns (here and here) were always welcomed hilariously by the community. Doug helped sow the seeds for a lot of my silly humour, honestly. It helped me hone my humour into the earnest goofiness I’d like to think I’m known for. There’s a little Doug in Dill, honestly, especially in the self-depreciating humour. Doug helped me stay creative in times when I wasn’t feeling creative. One of my favourite moments was chatting on Ventrillo with some people from the LiveJournal community. I can’t recall the full context, but someone called me slow. Now, I didn’t speak in Douganese while voice chatting. I “Douged” better in text. But I had to here. I waited for I think two or three hours before responding. The group continued through other missions and conversations. And then, in one moment of silence among the group, I finally shouted, “HEY! DOUG AM NOT SLOW!” They were laughing so hard that they all had to pause playing. Definitely one of my most rewarding comedic moments. I never really did find anything to fill the void that City of Heroes left behind. I tried Champions Online and DC Universe Online but neither really grabbed me. I’ve yet to really find an MMO or really an outlet as purely FUN as Doug was on a regular basis. Dill comes close, but that’s very different. I didn’t get such immediate and hilarious reactions from people. For now, let’s give Doug a break to stand about, and reflect on those good times. Yup. Good times. Funny story about this picture: It was supposed to be a picture of Doug enjoying the sunset. But a mission I’d finished had an ambush I didn’t know about. So this guy was running up behind Doug JUST as I snapped the picture. Such great timing and appropriate for Doug. 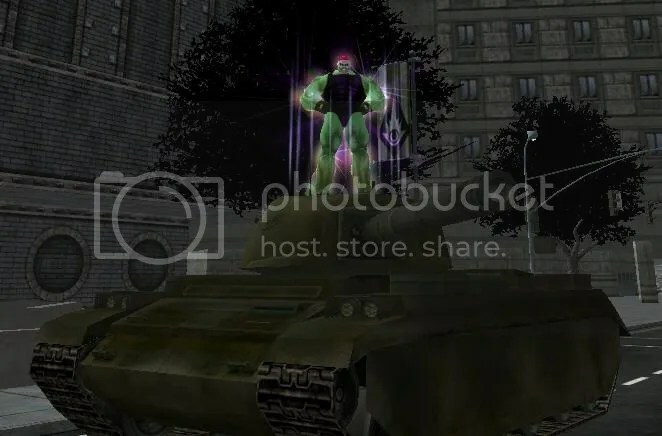 If any of this story amused you, I invite you to look at the City of Heroes LiveJournal community Doug tag, where I’d posted all of my Doug posts over the years. Look at Doug. He’s just SO HAPPY to be part of all this. And I really was. Chibi Doug! Him so cute and tiny! The patented Doug Thumbs Up. 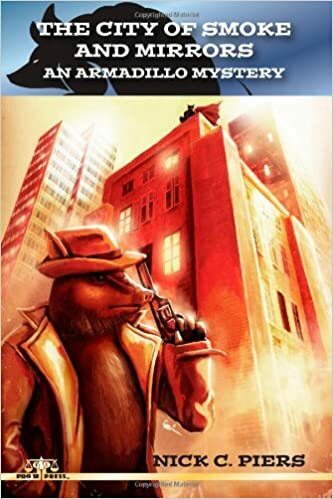 Writer and creator of the Armadillo Mysteries, I've had a passion for the creative arts all his life. I'm an avid comic book fan, a DDP yoga practitioner , and urban cyclist. This entry was posted in Video Games, Writing. Bookmark the permalink. Your article on Doug brought back some awesome memories I had of running with you on Justice a few times. You were one of the most memorable fun personalities in all of CoH and I thank you for the awesome memories. I was a steady player from July 2004 to the very end. You ROCK.